Alice Springs – 10 Great Days Out – Want to experience the best of the Red Center of Australia? Do it at Alice Springs! Located a long distance of 1500 Kms from the closest important city, Alice Springs is an ideal vacation location for those who want explore the rugged terrains of the Australian desert. The region speaks of days of colonialism in Australia and any recent development made in the region is to cater to the needs of the tourists who want to experience the harsh beauty of nature. As such, Alice Springs would be ideal only for people who understand what they are up for and wouldn’t freak out at the slightest ‘inconvenience’. The region may have seen modernization in the recent years, but it hasn’t lost its traditional essence which makes a trip to the Alice Springs even more worthwhile. Travelers can connect with the root culture of Australia and experience the best of desert wildlife and important historical landmarks. To make things easier for you, here we have compiled a list of the top 10 must see things in the Alice Springs that will help you create a detailed itinerary for your tour. Whatever you do, when you are in Alice Springs, never ever miss a visit to the Ayers Rock or the Uluru. In reality, it is because of the importance of the Ayers Rock that Alice Springs has been receiving the most tourist attention in the recent years. The location of the Ayers Rock in the proximity is what makes explorers as well as travelers flock to the region of Alice Springs. The Ayers Rock is one of the most prominent natural landmarks of Australia and makes up an ideal one day/ 2-3 days tour for people who want to experience the scenic beauty of the rugged terrain and the joy of spending a night or two under the starry skies. Make sure that you have good cameras with you, because despite being rugged, it deserves its own spots of beauty. A journey to the Ayers Rock is best done with professional tour operators that operate locally and arrange the best facilities for the day as well as the day and night tours. Depending on your capabilities, you can either choose the single day tours or the multiple days as well. 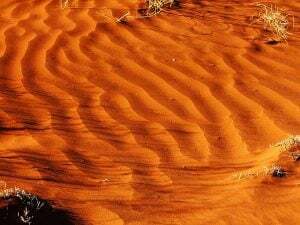 You may have seen expansive aquariums or zoos in Australia or elsewhere but if you want to marvel at the beauties that harsh nature can create, then no place matches the Alice Springs Desert Park. If you think that deserts are just about some rough cactuses here and there with arid lands stretching blatantly for miles, then you are obvious in the wrong. A visit to this desert park will obviously break all myths and present to you a great combination of natural creation and human care. The park is spread over an extensive area and categorized into different habitats that house a variety of animals, birds, landforms and water forms together with varied ecosystems that belong to the Australian outback. Kangaroos, emus, Central Australian invertebrates, reptiles, birds, cockatoos, barrens surfaces, dry river beds, sandy desert areas and desert trees like reeds, red gums, etc together make up a totally different environment within the park. Not only that, the park is one of the most proud displays of Aboriginal culture, customs and traditions and till this very date, hasn’t lost its glorious essence. Numerous walking trails exist along with helpful guides who can take you through the entire journey, elaborating everything in details. The park is located in the proximity of the central Alice Springs and can be conveniently accessed via buses, bikes and even a short drive from the airport. Cab fares from the airport come to around $45. The ideal time for a visit would be the early morning when the park opens if you do not want to encounter the hot sun. While you get the best glimpse of the animal and bird life at the Alice Springs Desert Park, the Olive Pink Botanic Garden is the best spot to get acquainted with the plant diversity of dry Australia. Established in 1956, the park threw open its doors for the public only in 1985. Since then, the park has been one of the major attractions of the region and a great experience for the fauna lovers. Presently, the park is home to more than 600 plant varieties from Central Australia along with 40 threatened or rare plant species for the visitors to experience. Numerous walking trails intersperse the garden and takes you closer to the plants. You can also opt for guided tours of the garden or simply arrange a picnic at the open spaces. The Botanic Garden lies at the center of Alice Springs and the driving duration from the Airport is about 15-20 minutes that would cost approximately $35 for a cab hire. If you are one of those that want to experience Alice Springs to its fullest, then trying out the Larapinta trail is a must do for you. The region may be arid and rugged but when the rugged terrain combines with bushy regions and clear skies as far as the eyes go, then a real spectacle is created – a marvel that can be enjoyed only when you embark upon a trip along the famous Larapinta trail. Since, certain stretches of the 223 Km long trail is quite rough and tough, you need to be well prepared if you are willing to brave the entire journey and back. If you are a rookie in the trade, you may opt for the lesser tough areas and short trails that last 2-3 days. However, being physically fit is a must. It is ideal and a sort of necessity that you travel with the expert tour operators on these trails. That way, you will be able to savor the experience better while the experts look out for the safety measures. About 138 Kms to the west of the Alice Springs lies the Finke Gorge National Park that is sprawled over an area of 46,000 hectares, encompassing the splendid Palm valley oasis. The region is famous for being home to some of the ancient palms, unique and rare plant species and sites that speak of Aboriginal culture of the region. This is contributed to the fact that the Finke river catchment is amongst the oldest in the world. The park is ideal for bushwalking, camping, barbeques and a better insight into the history of the region. The way till the park isn’t very ideal for usual family sedans or cabs and it is recommended that you join tour operators who conduct regular tours to the parks in licensed 4WD vehicles. If you want to break out of the rough and tough life in Alice Springs, the Lassesters is the ideal place to do so. Housing a casino, a hotel, a couple of bars and restaurants and the popular Convention Center in Alice Springs, the Lassesters is famous as an entertainment complex amidst the travelers. The hotel offers access to pools, spas, golf course and other modern day amenities which the usual Alice Springs lacks. So, if you want to pamper yourself after a tough day amidst nature, then try the Lasseters. The Lasseters is located about 13 Km from the airport and cab fares will come to around $30. Along the stretches of the serene MacDonnell ranges lies the MacDonnell National Park – to the west of Alice Springs. The approximated stretch of the park is about 250 Kms and includes a number of fantastic sites for exploration like the Ellery Creek BigHole, Simpsons Gap, Glen Helen, Ormiston Pound, Serpentine Gorge, Mount Sonder, Redbank Gorge, Ochre Pits, Flynn’s Grave, Stanley Chasm and much more. The park is thickly populated with animal life including drummers, skinks, frogs, possums, echidnas, wedge tailed eagles, land snails, yabbies, finke fish and much more. Access to the park is usually via the Larapinta drive and recommended only for 4WD vehicles. The harsh climes of the Australian desert make way for the existence of some of the unique as well dangerous reptiles of the world. 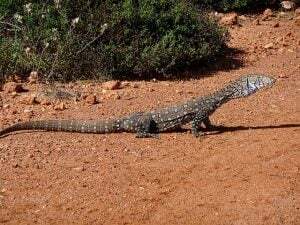 And experiencing them is best done at the facilities of the Reptile Center in Alice Springs that houses and displays about 50 varied types of reptiles, each of which has its own score of attraction. From usual snake, saltwater crocodile, lizards and other reptile varieties to spiked Thorny Devils, massive goannas, frilled neck lizard, bearded dragon – you will find a different marvel staring out to you at this facility. If you thought that these were just killers or boring animals- the reptile center will change your view point for ever. A drive of about 15 minutes from the airport takes you to the Reptile Center. This ephemeral river, originating in the MacDonnell ranges is a part and parcel of the Alice Springs. Though the river bed remains dry for most of the year, if you are lucky enough to witness a rainfall in the region, you can marvel at how soon the river becomes bank to bank full. Moreover, the dry beds of the river are well-known for a number of entertaining activities throughout the year. The Henley-on-Todd regatta is a unique fun event wherein a regatta occurs even without a drop of water. Initiated in 1962, this boat race actually sees boats and rowers in swimming dresses gear up to row their boats across the dry river bed of the Todd River. The event is help in the spring season, in the month of September and is an unique experience, given the fact that a full- fledged regatta is arranged and enjoyed without a trace of water. Ironically, it’s the water that causes a hindrance to this merry event, with races being cancelled due to unforeseen rains or floods.